Originally from Northern California, Dr. Sean Roberts has lived in multiple states and countries as he developed his interest in working with others. His journey included dropping out of college to take a year to adjust his course to better align his trajectory with his passions. Sean has a PhD in Counseling from Oregon State University and is a Licensed Professional Counselor and Nationally Certified Counselor, who has specialized in working with young adults for the past nine years. He joined Cascade Crest in 2014 after working as a young adult therapist and Assistant Clinical Director at a leading wilderness therapy program. 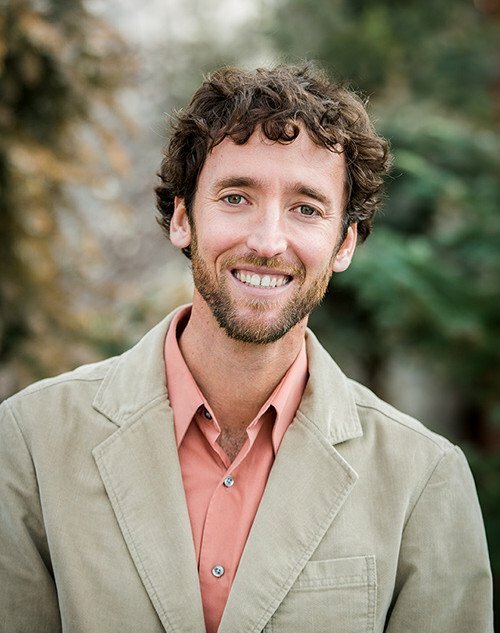 He has previously worked as a clinical supervisor at a free clinic and teaches in the Addictions program at Montana State and the Masters of Counseling program at both Prescott College and Oregon State University. He has been researching outcomes for young adults clients in treatment over the past six years and has published multiple articles on this topic. He uses an experiential, process-oriented approach in order to help clients increase self-awareness, develop coping skills, and unleash their innate capacity to adapt and thrive. Sean believes that the intersection of dynamic programming and sophisticated clinical work is a potent space for change. His passions lie in creative intervention planning, transferring peak wilderness experiences to front-country applications, nurturing resiliency, and both qualitative and quantitative research. When not working with young adults and their families, Sean enjoys adventuring in the outdoors (preferably by bicycle) and in other cultures.